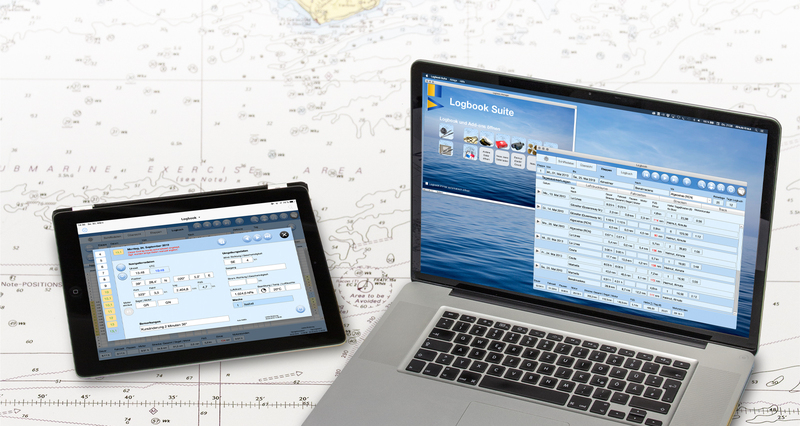 With our Logbook Suite Add-ons we provide a selection of useful tools for Mac, Windows and iPad, with which you can manage tasks around your ship and your travels on yachts. 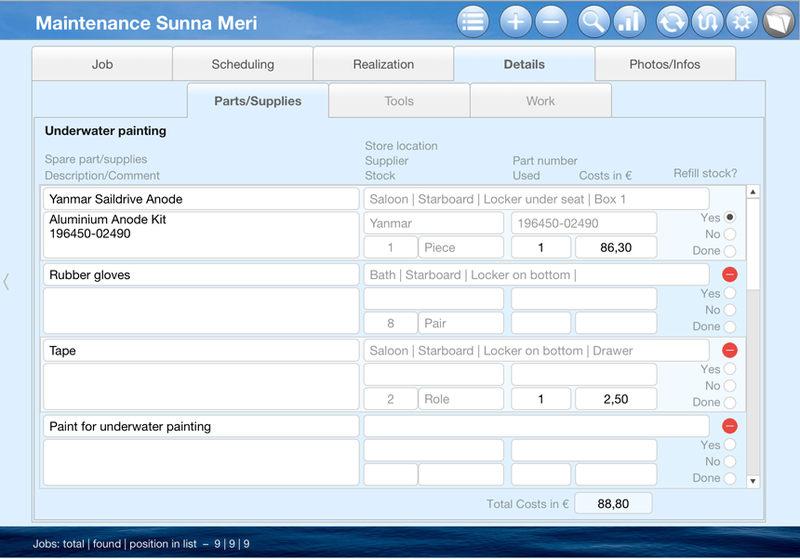 The Add-ons are started in Logbook Suite, but they are independent of the use of the Logbook file itself. 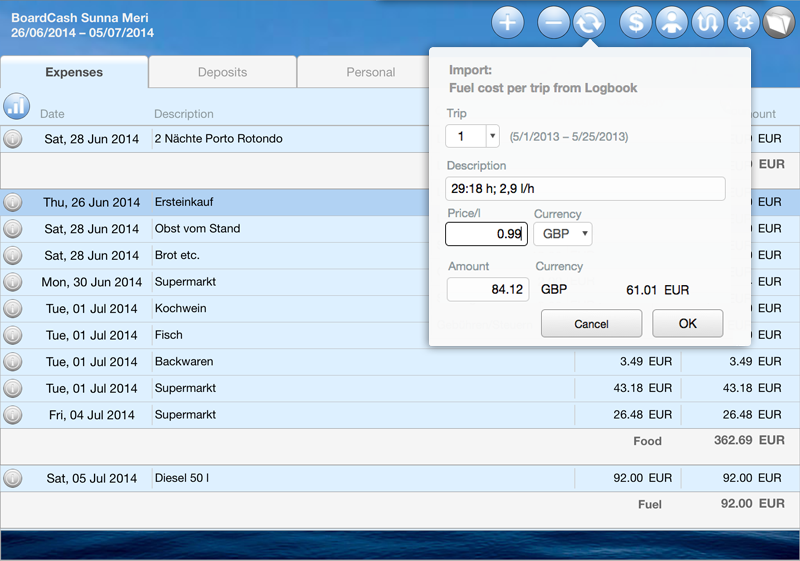 So you can purchase and use only one of our Add-ons without the need for a license for Logbook, if you like. Our software, including the Add-ons, can be loaded and tested for free, before you decide whether to purchase the software. Entering the serial number converts the trial version into a full unlimited version. 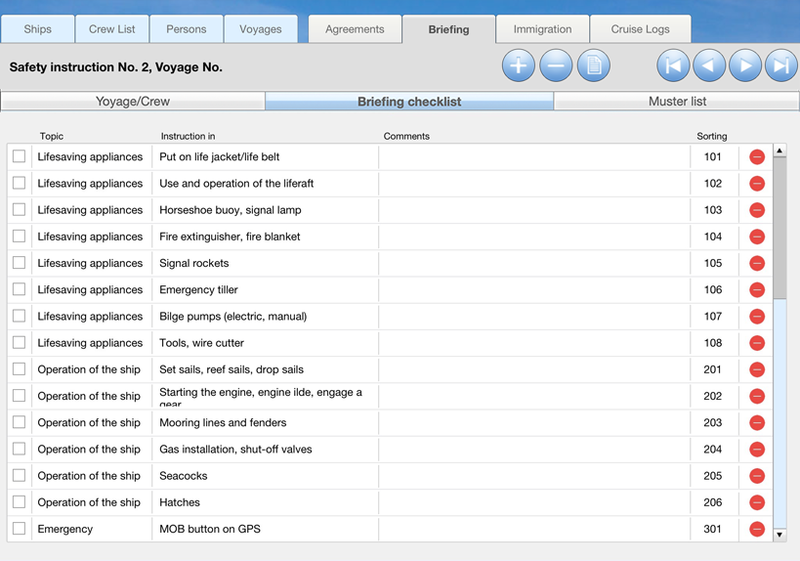 The handy Logbook Manager gives you access to all Add-ons that are installed in Logbook Suite. The following Add-ons are currently available. Click/tap on the headings below to read more about the Add-ons. 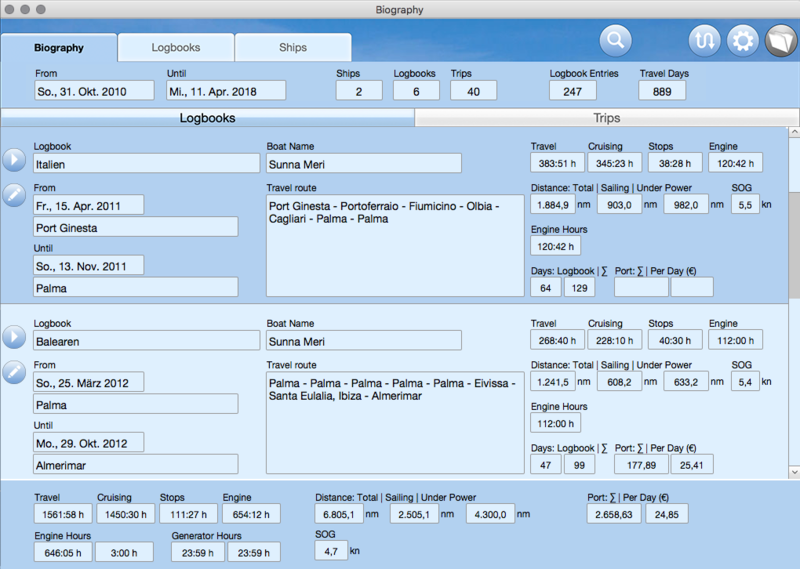 With the Add-on Biography you can combine all your ship journeys in a digital book, no matter if you kept your logbook with Logbook from Logbook Suite or if you had written it classically by hand. And since Biography is not a ship's logbook, but your personal maritime biography, Biography is not limited to travels with a particular ship. 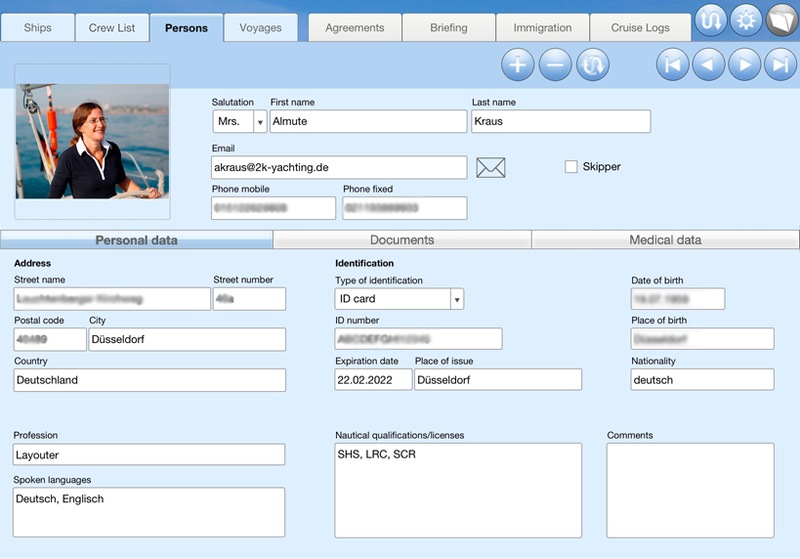 From the logbooks that you kept with Logbook the travel and ship data can be imported directly into Biography. 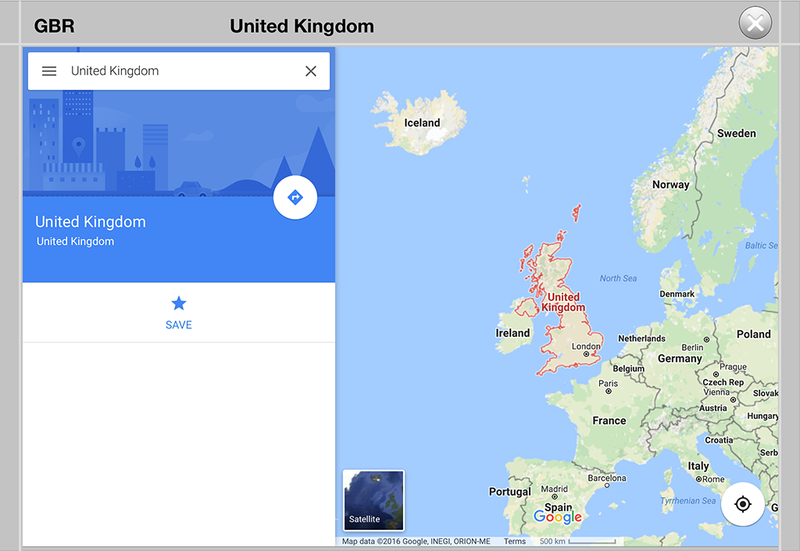 For adding your travel and ship data from logbooks, which only exist in paper form, dialogs lead you through the steps to enter all relevant information. This is also easy and not very time-consuming. A very useful feature of Biography is the search function, with which you can search for places, person names, etc. For example, Biography will show you every day when you were at a certain place or every day when a certain person was on board with you. Of course, it is also possible to print your maritime biography or to save it in a PDF. 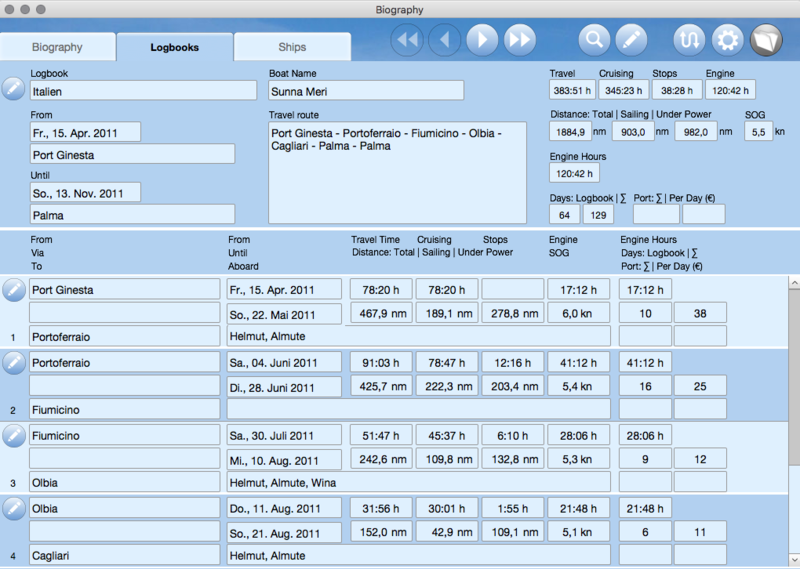 Biography 1.2 presents your ships in a new list view and a list of all trips list sorted by start date. 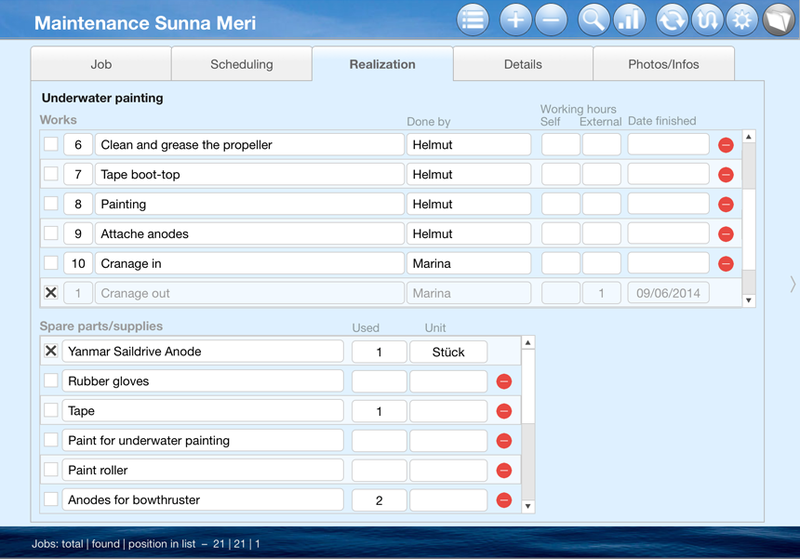 Scheduler is an interactive visual personal organizer for sailors and motor boaters. It differs from conventional schedulers mainly by its intuitive presentation of the time and the appointments in a continuous timeline - just as the real time runs. 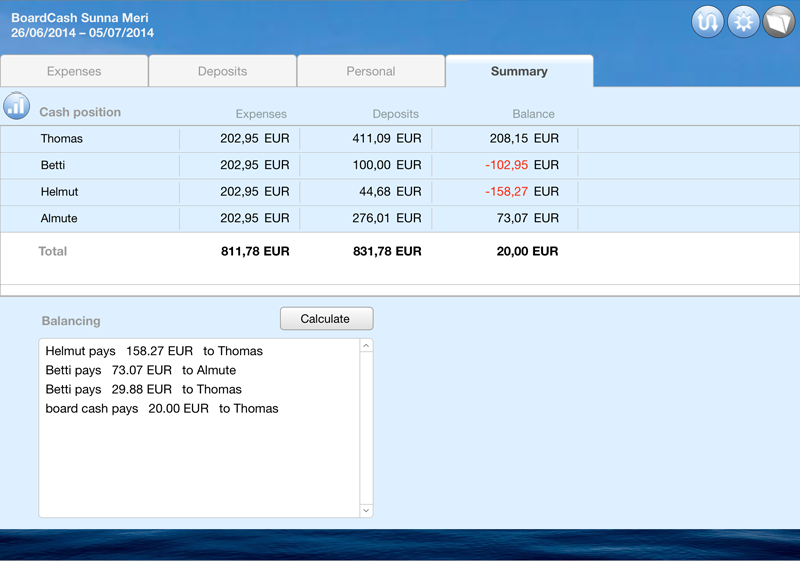 Scheduler is suitable for planning a whole year or a whole season, as well as several years or even a single trip. 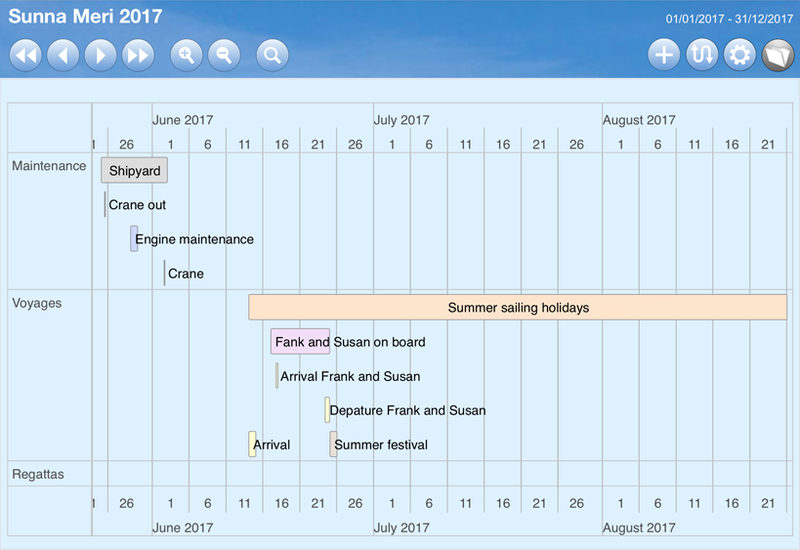 Your undertakings (such as the summer sailing trip or the stay in the shipyard) are created in Scheduler as projects and the project periods are marked in the timeline by color bars. Within a project you can enter as many appointments as you want, the events. Events are linked to the project and are displayed in the timeline by color bars arranged below the project. The section of the timeline which is displayed on the screen can be moved or zoomed by using buttons or gestures. You can show only a few days, several weeks or months or a whole year. With Scheduler all your projects are clearly structured and displayed. In the top level of the structuring you will find the groups with which you can assign your projects to various topics such as maintenance, voyages and regattas. Scheduler 2.0 offers in addtion a list view of all projects and events. .
Of course, it is also possible to print any section of the Scheduler timeline in different resolutions or to save them in a PDF as well as the new list view. So that you can share your planning with your friends. All information that you find in our popular iPad app WorldEnsigns you can now also find directly in Logbook Suite using the new Add-on WorldEnsigns. 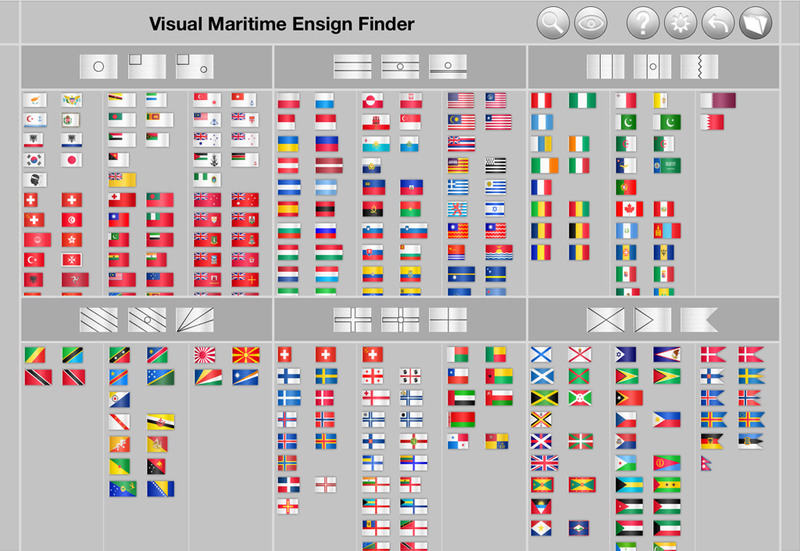 Thanks to the numerous search functions of WorldEnsigns you can easily find flags of ships and their respective countries. 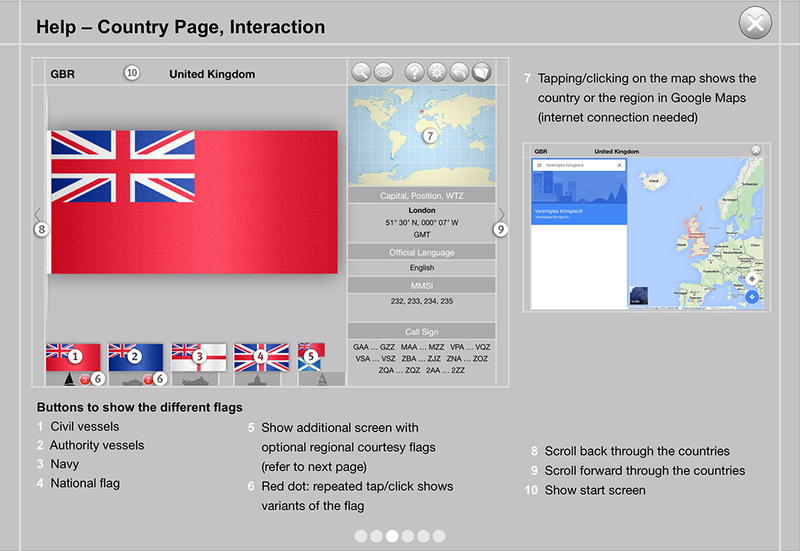 WorldEnsigns includes interactive screens for 242 countries or regions and includes a total of 1005 flags with high-resolution details and textures. 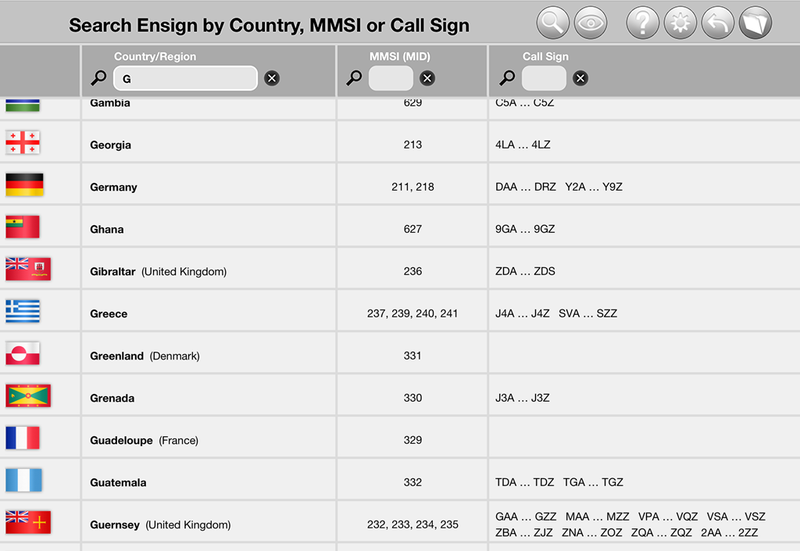 In our Add-on WorldEnsigns you will find ensigns for all countries and regions that the ITU (International Telecommunication Union) has assigned a MMSI (Maritime Mobile Service Identity) to. No matter whether you encounter a ship which ensign you don't know or whether you see the MMSI or the call sign of a ship with the AIS function of a ship's chart plotter. 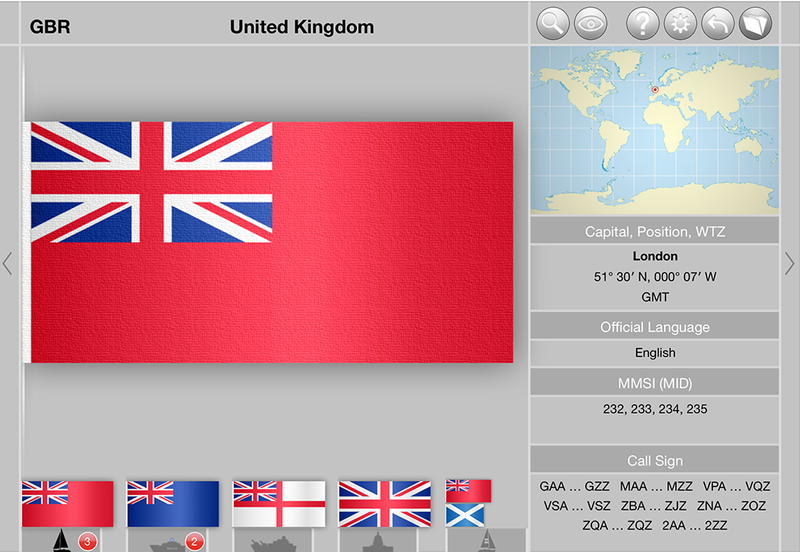 The Add-on WorldEnsigns can quickly show the ship's country of origin. 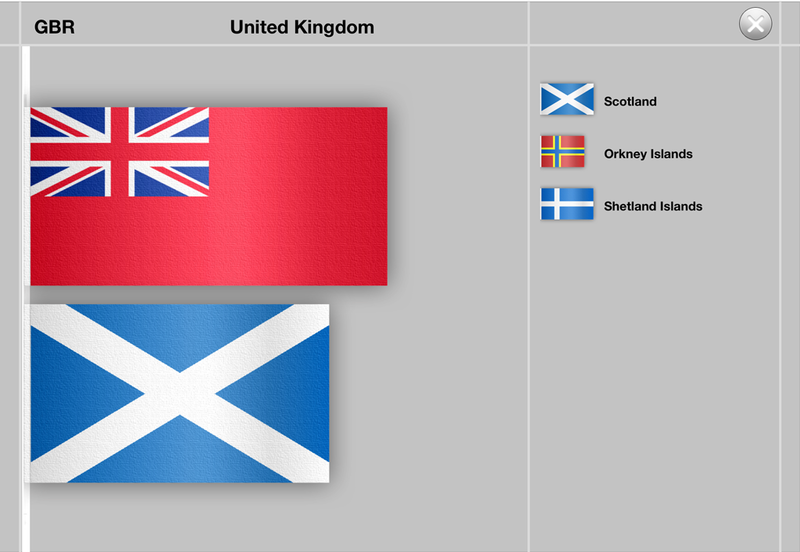 In addition to the different flags used in this country you will get information about the geographic location of the country, it's timezones and the official languages. In the demo version of this Add-on all European countries are unlocked. 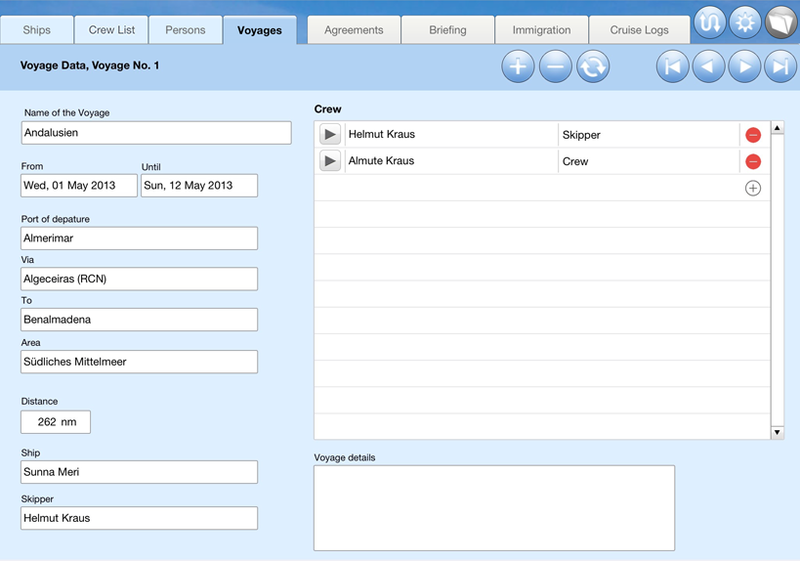 With the Add-on Crew you always have any important data on your crew, the ship (or ships) and all your voyages to hand and can create with only a few steps forms and agreements. With the Add-on Crew you can create for each person of the crew a Person Data Sheet in which the most important information is put together. 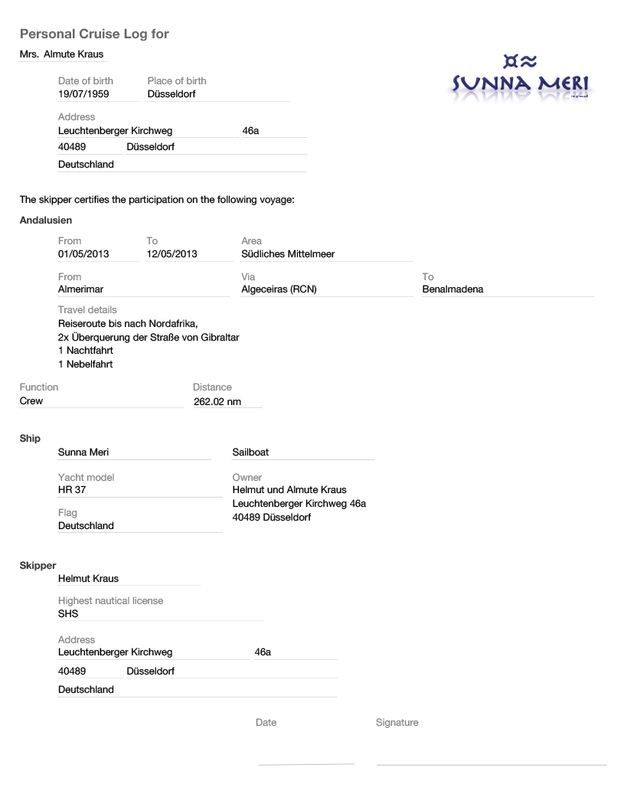 These is in addition to the address and identity data etc. also medical information that should be available for every skipper. The required personal information can easily be requested by an email which ist automatically send to the crew members. The data provided in the reply email is then transfered into the Add-on. Unlike to Logbook the Add-on Crew is not limited to one ship. 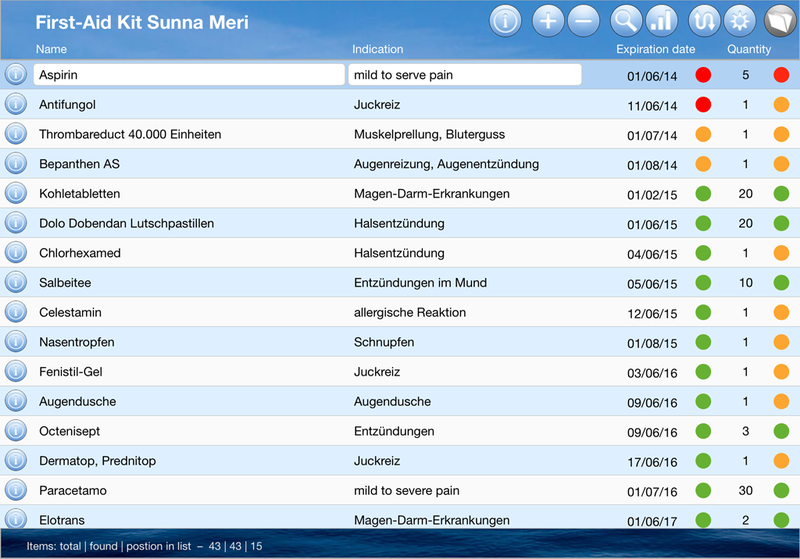 Thus charter skippers can import the data from several ships managed in different Logbook files into Crew and use the same person data for voyages with different ships. 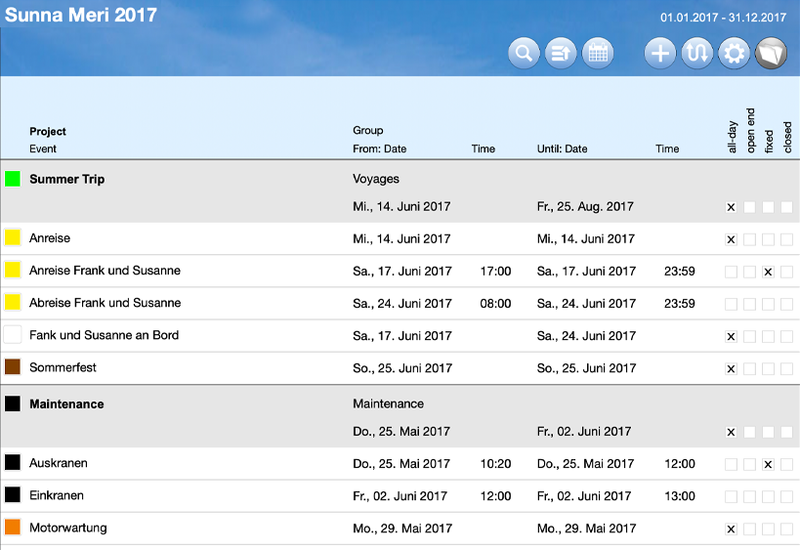 You can manage all the data of your travels which is needed for the forms, agreements and personal cruise logs with the datasheet Voyages. 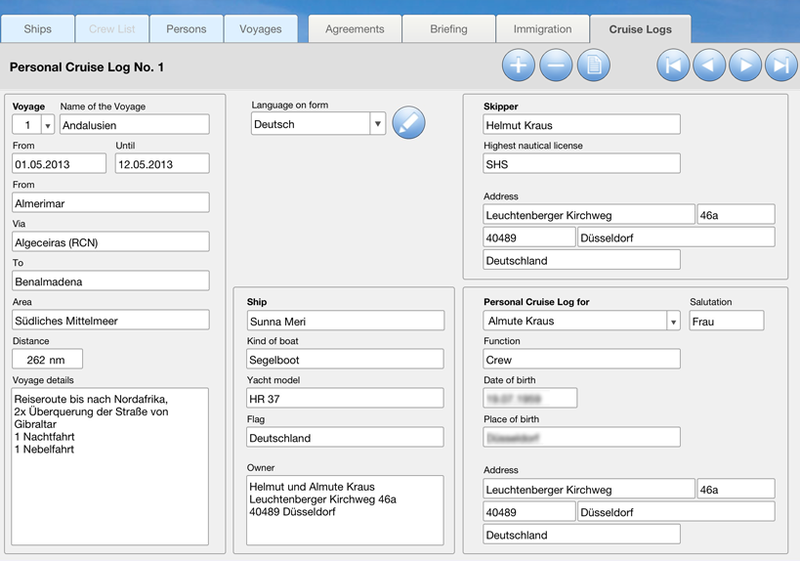 Travel datas and names of the persons of the crew can easily be entered by importing trips directly from Logbook. 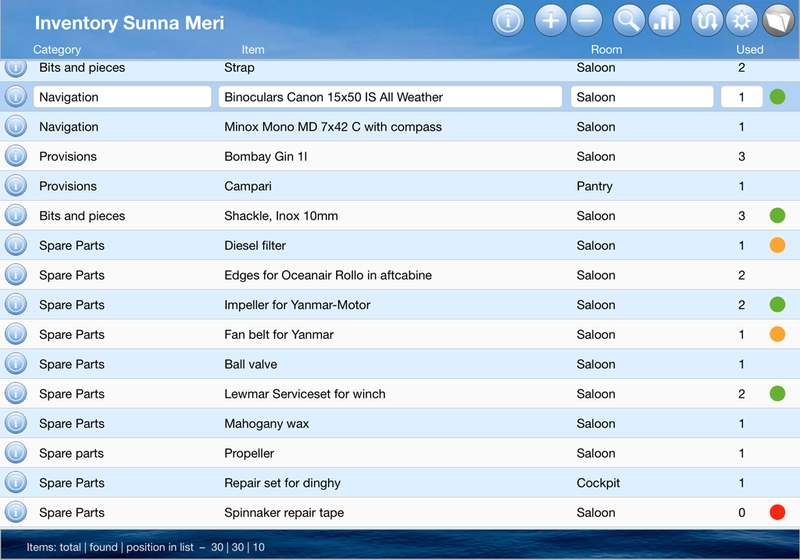 All information needed for creating a personal cruise log are automatically loaded from the data collected in Crew. The items in the the list with topics for the safety instructions can be checked and commented. Managing the board cash box is usually not among the most popular tasks on board. However, one should keep track of the expenses and the cash position. And with BoardCash this is a cinch. 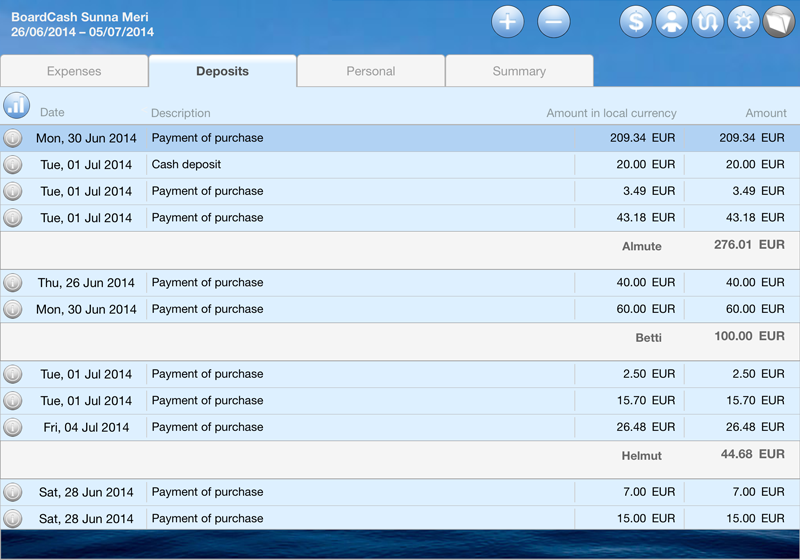 In BoardCash you can enter all deposits of the crew members and all expenses from the cash box. Also special cases, such as when a crew member makes a purchase, without paying from cash box, are handled automatically. Of course, BoardCash can also take different proportions of the crew members on the board cash into account (eg with couples and individuals in the crew). 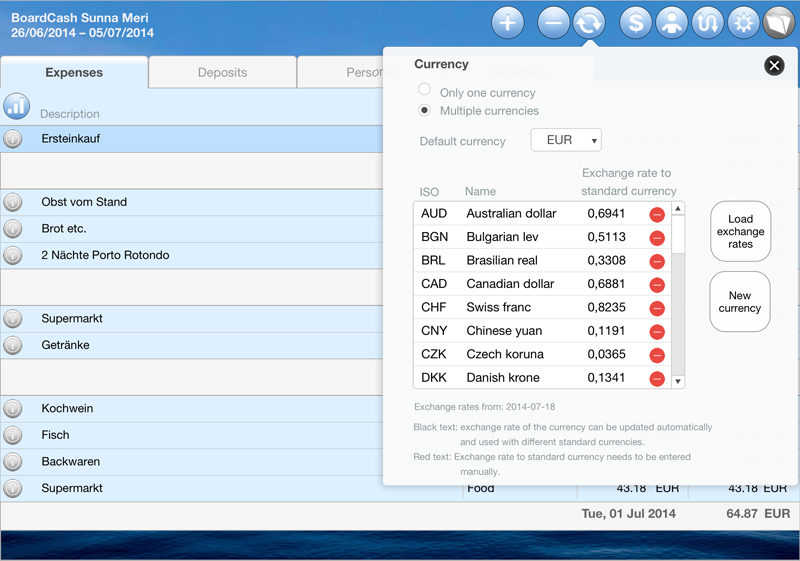 A particularly useful feature is the handling of multiple currencies. For this the current exchange rates of the ECB can be loaded into BoardCash. No matter whether the trip leasds through 2 or 10 currency zones, BoardCash always calculates the correct cash position and the account balances of the crew members in relation to a fixed standard currency. 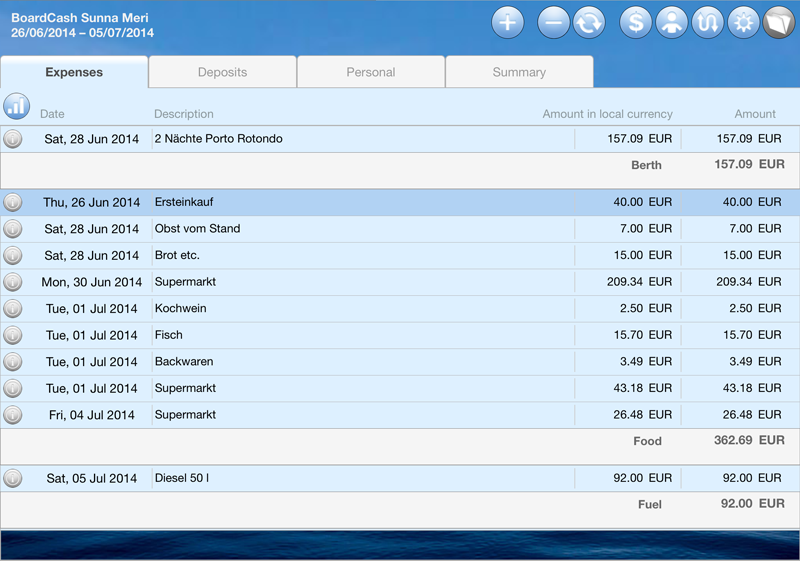 And since BoardCash is an Add-on to Logbook Suite it can import some data directly from Logbook: the crew list, port charges, fuel costs after refueling or the pro rata costs of fuel for a trip in your Logbook. With the new iOS app BoardCash, which is available in the Apple App Store, you can use the Add-on BoardCash on the iPhone, too. 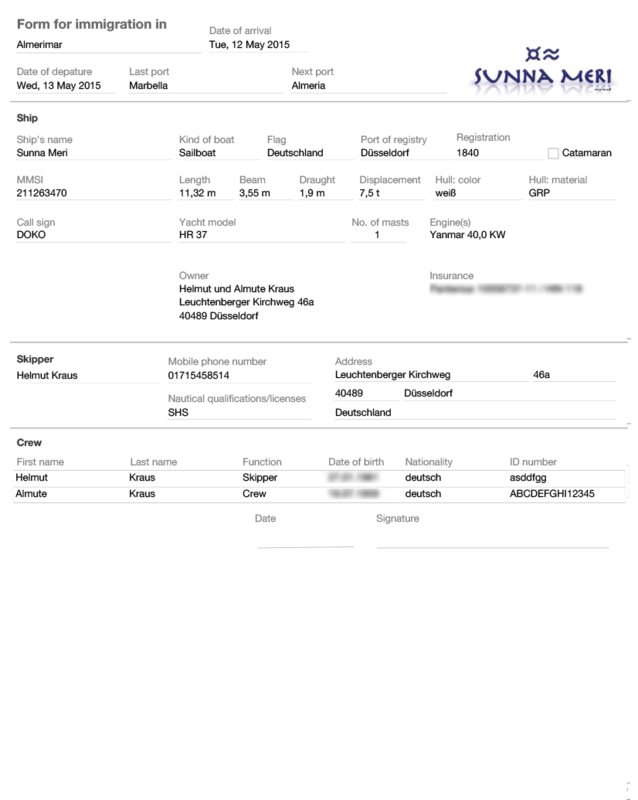 Your BoardCash files can be copied between Logbook Suite and the iPhone app BoardCash using a cloud service or iTunes. More info here. Quickly find the right medication in case of emergency and keep track of which medications soon will no longer be preserved. The Add-on First-Aid Kit gives an overview of all medicine and medical aids that you have in your first aid box. For every drug you can enter information on the indication and medication. With help of the search function of you will quickly find the appropriate medication. First-Aid Kit shows for each medicine and medical aid where it is stored in your ship, how many units are still availble in your first-aid kit and the expiry dates. Colored markers higlight medications that are no longer available in sufficient quantities, or need to be replaced with new ones soon. 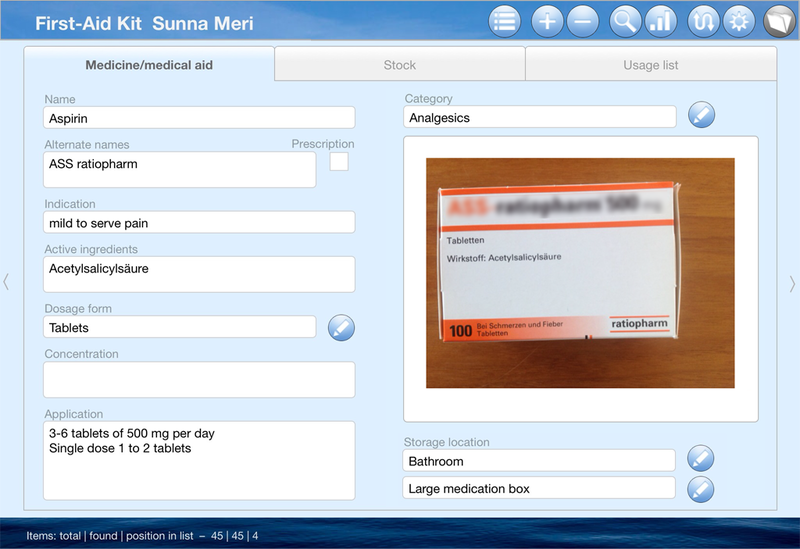 The detail view shows information on medication such as indication and application but also the current stock as well as the expiration dates. In a ship there are many different places where you can store your things and many items that need to be stowed. But how to keep track of this? For this task our Add-on Inventory is very helpful. With Inventory you can manage quite easily the storage and inventory of all items in your ship. You can specify for each item exactly where it is stored using a hierarchical structure with four levels (eg. saloon, port side, locker under seat, red box). 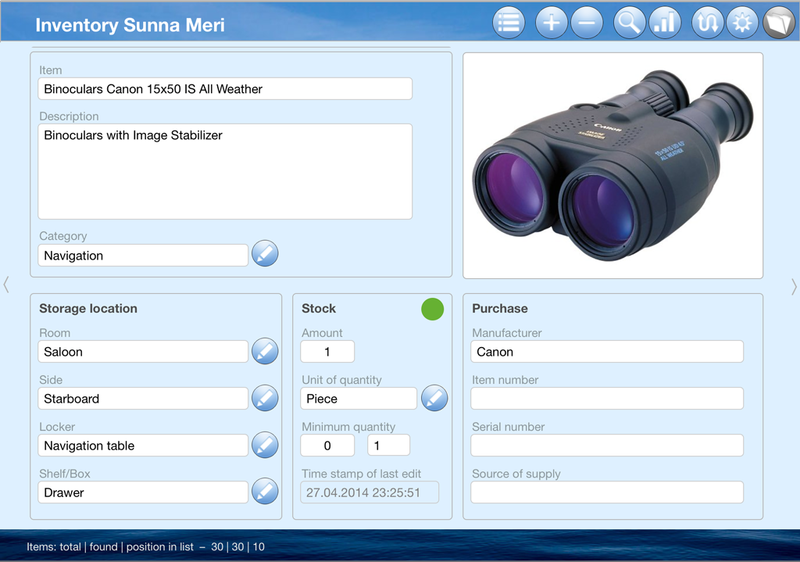 This ensures that you will find everything without searching through the whole ship. The use of categories for your items such as tools, spare parts, detergents and various sorting functions ease the search for a specific item in the inventory list. For each item a minimum amount can be specified. When this minimum amount is reached or exceeded, a highly visible color marking highlights that a soon replenishment is needed. Manufacturer, part number and supplier of the item can also be stored in Inventory. The search function of Inventory provides a text search and a function to search for items at low or very low inventory. This makes it really easy to create shopping lists. And of course the lists and the detail views can be printed out. For this Inventory provides—as well as the other modules of Logbook—special layouts that are optimized for printing. Inventory can also be used on the iPhone and on the iPod Touch. On these devices you can zoom using the two finger gesture. By the way, Inventory is not only a useful inventory management tool for the ship, but als very helpful to keep track of the inventory in the hobby room or the workshop, the maintenance of stocks and many more. The detailed view shows all details on the storage location, the inventory and the procurement of the item. When is the next oil change due? Which anodes were changed during the last underwater paint? When does the life-saving equipment need maintenance? You can easily keep track of all this with the Add-On Maintenance, because the tool reminds you when you have reached operating hours or dates for maintenance intervals. 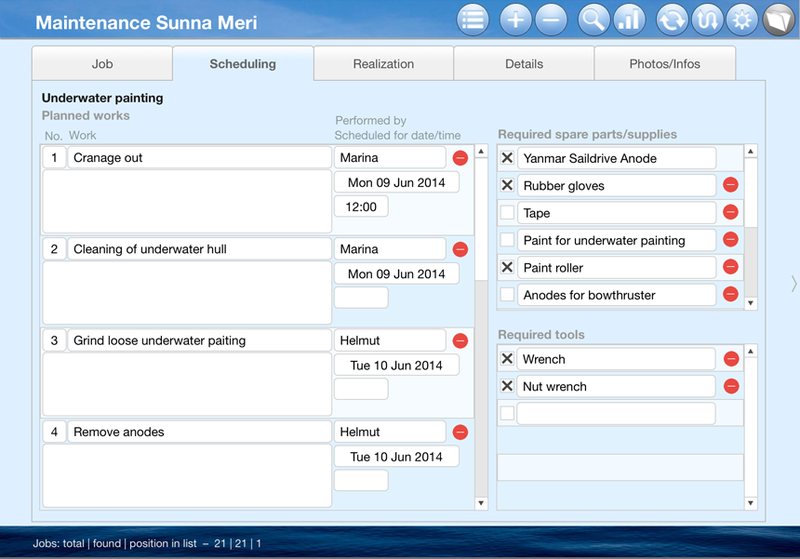 With Maintenance, our most complex Add-on, you can plan, schedule and document maintenance works, repairs and new installations in your ship. For each job you can project and schedule the necessary steps and record hours and costs. Required spare parts, supplies and tools can quickly be assembled, because the storage place etc. can be imported directly from the Add-on Inventory. Of course, Maintenance allows to record the costs of spare parts and consumables. For every job you can collect photos and documents (PDF, audio, video) in Maintenance. You can, for example, store the repair manuals, add photos of a defect and the result after the repair or document your works in a series of photos so you know next time what was to consider. If you set up jobs with regular maintenance intervals in Maintenance, the Add-on will alert when the date is due with a colored marker. 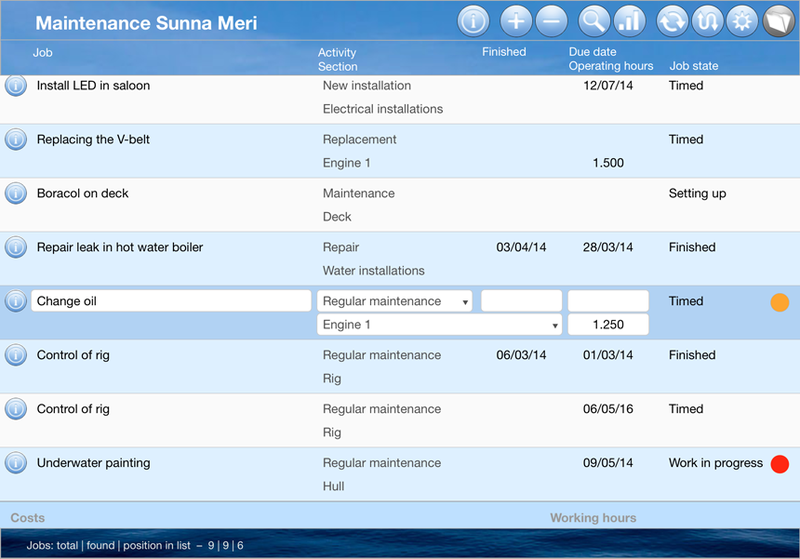 To ease the data entry and setting up of maintenance intervals Maintenance can import data from Logbook and Inventory. The list view shows all jobs managed with Maintenance. Jobs that are due or overdue are highlighted with a colored dot. A job in detailed view. Here you can setup the dues and will get sums of all working hours and costs. In planning phase of your job you can set up all works needed and collect the parts and tools that you will need. 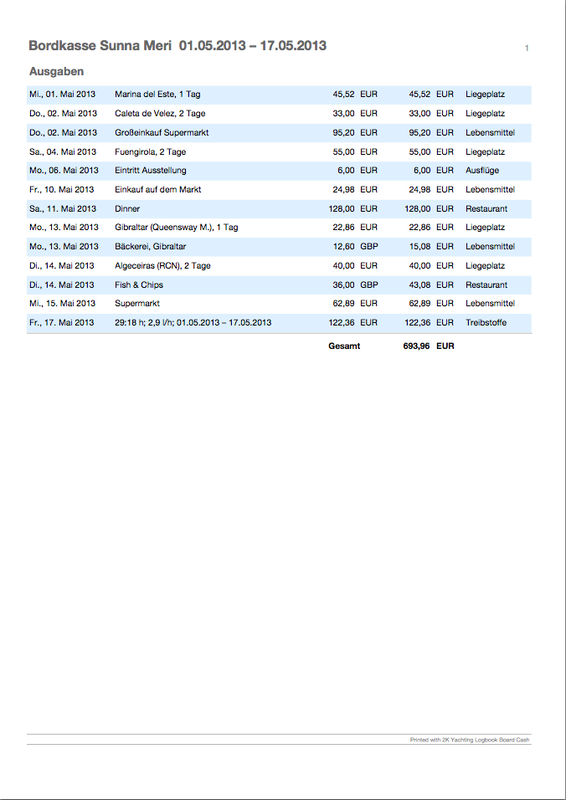 During the works on the job you can check everything that is done, enter the working hours and the costs for works and parts. The tab Details shows more information on the works, the parts and the tools. Here you can see a list of parts with additional information from the Add-on Inventory. In Maintenance you can collect photos and documents like PDFs, videos and audio files, which are helpful for the job. 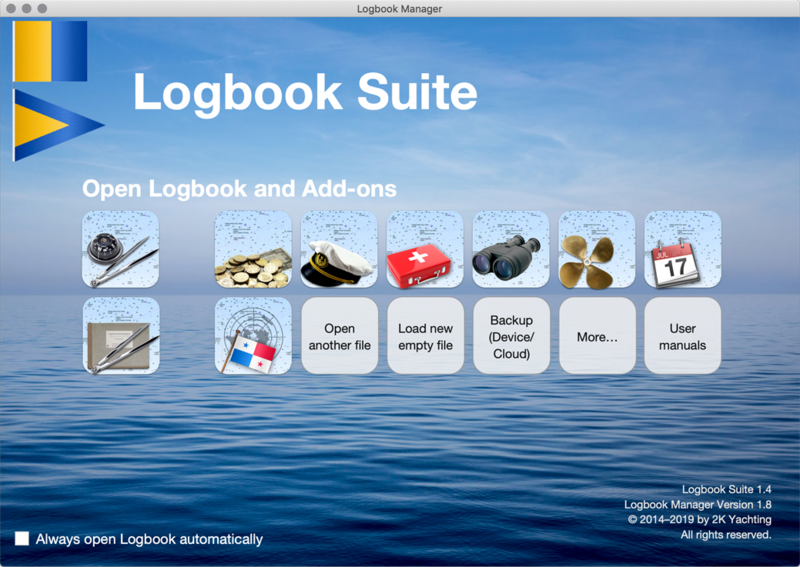 You want to update your Logbook file from an older software version to Logbook Suite? Click here to get a step-by-step guide for the update – for iPad, Mac and Windows.